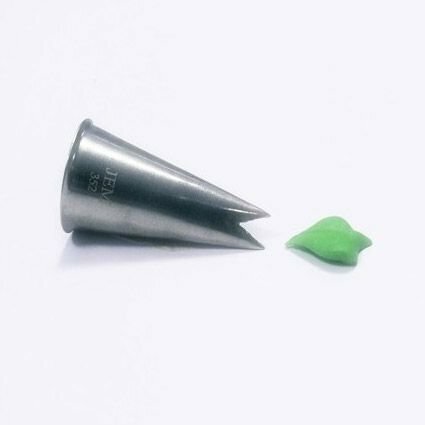 Cake decorating couldn’t be easier with the No.352 Leaf Decorating Tip. These tips are a great way to create specific decorations and shapes that will turn any home baked cake into a finely detailed masterpiece. With a tip to produce almost every shape and intricate detail these cake craft tools are a must have for every icing connoisseur. These excellent icing tips are made from durable nickel-plated brass enabling them to maintain their shape and create precise decorations repeatedly. Due to the high quality brass the tips are dishwasher safe and rust proof for a quick and easy clean up.